You may be fearful of drinking seltzer water because you heard it is bad for your health. Negative ideas about seltzer include the fact that it may irritate your stomach, erode the enamel on your teeth and cause osteoporosis. But seltzer water isn't much different from regular water. It is calorie-free, sugar-free and fat-free. The only difference is the added carbon dioxide that creates the bubbles. In fact, seltzer water is just as hydrating as regular water. An English gentleman by the name of Joseph Priestley first discovered how to carbonate water in the 1770s by infusing carbon dioxide gas from a vat of beer into disturbed water. He noted that the drink had a nice taste and shared it with his friends. While seltzer water is the foundation of soft drinks, it is simply water with dissolved carbon dioxide. Some of the carbon dioxide in seltzer water is converted in carbonic acid, slightly increasing the acidity of the water. The acidity of the seltzer water raises concerns that it may have a negative impact on tooth enamel, causing it to erode. A 2001 study published in the "Journal of Oral Rehabilitation" investigated the effects of sparkling mineral water on the tooth enamel of extracted human teeth. The researchers found that the sparkling mineral water did not increase erosion of the teeth. In fact, the minerals in the water may have offered some amount of protection. 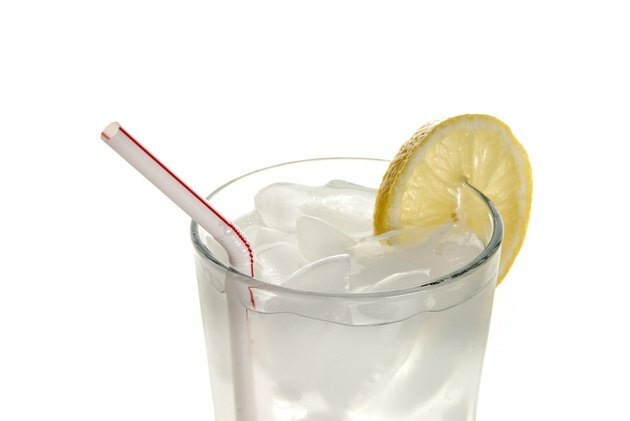 Seltzer water is a major component of soft drinks and may be mistakenly grouped together. Though soft drinks may have a negative impact on bone health, it is not due to the carbonation but to the phosphoric acid in the soft drinks, specifically in colas, according to a 2006 study published in the "American Journal of Clinical Nutrition." In addition, poor bone health may also result if soft drinks replace calcium-rich foods like milk. Avoid carbonated beverages when you have stomach problems, such as gastric reflux, because they tend to aggravate the condition. But carbonated water may improve gastrointestinal problems by relieving indigestion and constipation, according to Bastyr Center for Natural Health. The carbonation and the high mineral content of carbonated waters may help stimulate your digestive system, helping to move food through your gastrointestinal tract and aiding in digestion. Nutrition Diva: Is Carbonated Water Bad for You?